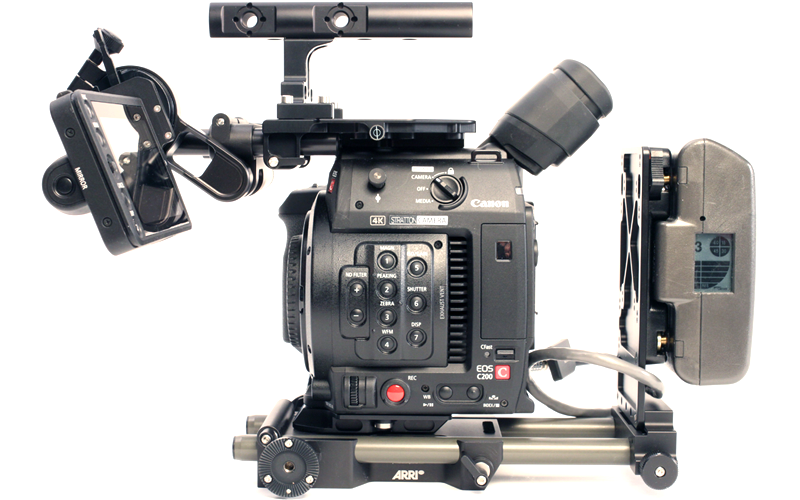 The EOS C200 Digital Cinema Camera comes with a built-in electronic viewfinder, a 4-inch touch screen LCD monitor and ergonomic handgrip integrated with Arri Professional Camera Accessories. The camera can record internal 4K RAW to a CFast™ 2.0 card in our new Cinema RAW Light format without compromising detail, as well as 4K UHD and Full HD in MP4 format to SD cards. The 8.85 Megapixel Super 35mm CMOS sensor, 13 stops of dynamic range, Dual Pixel CMOS AF, full compatibility with Canon EF-mount lenses, and HDR capability help make the EOS C200 ideal for film, documentary and television production, corporate and event videography, and newsgathering. The camera's multitude of features helps deliver outstanding image quality, performance and versatility. 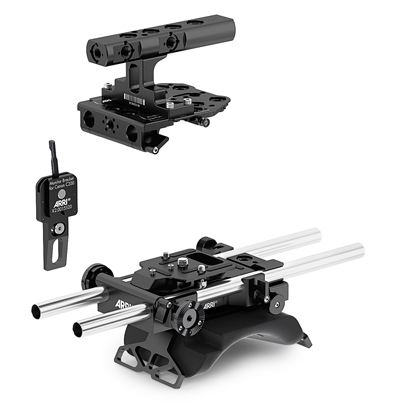 Our cameras are equipped with Arri professional camera accessories. Camera crews accustomed to using professional motion picture camera equipment will feel right at home when shooting with our C200 cameras.